Discussion in 'iPhone' started by metalsoul192, Apr 21, 2015. 8.3 is head and shoulders above 8.2 and resolved a lot of issues; why don't you update? Manually closing apps requires that they start from scratch the next time they are launched. This practice is detrimental to battery life. My advice is to avoid manually closing apps and allow the system to do the housekeeping. Have you auto lock enabled? That 77% usage could be if you look to often at your lock screen or home screen of you unlocked device. I wouldn't take that that important. 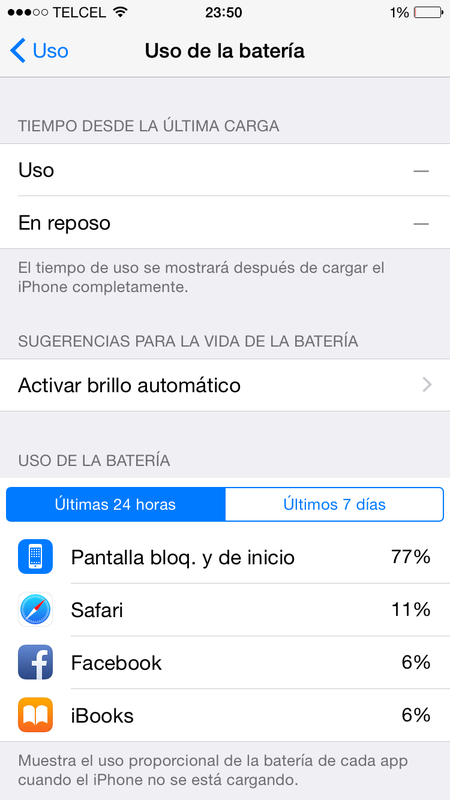 Apps are unlikely the root cause, because if it is Background App Refresh that drains your power, you would expect to see "background activity" in the battery usage page under the item. The high percentage in this department is IMO usually because of you getting a crap load of notifications, which always light up your screen. Let's say group messages in instant messengers (ugh...). The less probable situation is that you always forget to turn off your screen when you are at the home screen and have auto-lock set to never. Mine was doing the same thing, had a large percentage of usage at lock screen. I took it in to Apple because the home button was kind of sunken, and didn't have a proper click or resistance to it. I always keep my phone face against my leg in my pocket so it was probably getting pushed with how weak the click was, and then turning on the lock screen. Apple replaced the front screen on site in 1 hour which had the home button attached. My lock screen usage times are far far less than they used to be.